* Total number of reviews and star-ratings are based on data collected during the time period Cottam Heating and Air Conditioning has been using the ReviewBuzz system and may not directly match the data found on each public review site. We have used Cottam Heating & Air Conditioning for many years. I have been lucky enough to have Jose come to our house 2 times. He is knowledgeable, honest and really seems to love what he does. Jose came in to my house for the first time and Serviced my boiler, he did a good job taking apart parts of the boiler to clean them. Jose is very professional when it comes to his job, he explained to me everything that he was doing to the boiler, Jose came back to installed a Safety Part that was not connected from previous company, and he made sure everything was working in good condition before he left my house. I will recommend Jose to any house owner because he knows his job very well and from now on I ONLY WANT JOSE TO COME TO MY HOUSE AND SERVICE MY BOILER. October 12, 2018. 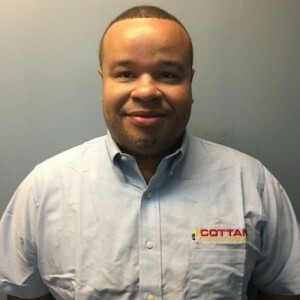 Cottam responded to my AC emergency the same day, and Edgar, the service rep who repaired my AC, was very proficient and able to quickly fix the problem. Thanks Edgar! Also Chris and Joann, their schedulers, were very nice to deal with. Their customer service is excellent. I definitely recommend using this company! Chris and Terrance worked all day to move the condensers and make sure they were working before leaving at 7 p.m. they were very polite and did a great job! The entire team at Cottam is fantastic! Eric is great! Lauren is amazing...she returns calls and emails immediately and she is extremely knowledgeable. Our installers, Gio and Terrance went above and beyond...they had so much patience, explained the process (we had Ductless AC units installed), answered every question, and did an absolutely immaculate job with the installation of our units/condenser. This is a team, that I would highly recommend for installation. Overall, I would recommend this company to anyone looking for heating and air conditioning. You will be beyond satisfied! I had 3 different employees work in my apartment - Carlos, Terence and Jose. They were all professional, helpful and did an excellent job in the installation of my new AC. Additionally, they were nice to have around. At the end of each work day, my apartment was as clean as when they had started regardless of the work they had done. This was the easiest 5 star review I've ever given. Jose has serviced our home and office for years. He has been reliable, knowledgeable, helpful, and trustworthy. In fact, he is one of the most important reasons we continue to use Cottam. They have a jewel in Jose. And we are grateful for his service. Jose Lora has serviced my two central a/c systems several times, he has always been, polite, very knowledgeable and prompt. 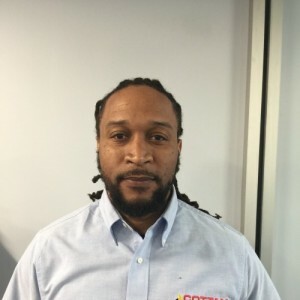 He is a credit to Cottam Heating and Air Conditioning and should be commended for a job always well done, and with a very positive friendly attitude. Very dedicated technician. Knowledgeable explained problem clearly and what had to be done to fix it. Repairs done satisfactorily and on time. 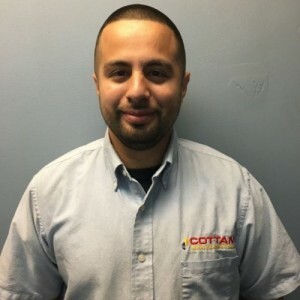 Jose , I think is Cottams most knowledgeable tech, not only is he knowledgeable , he is honest , takes the time to explain everything to you, and he is a pleasure to have in our home! Excellent service! Jose is a polite and friendly technician who knows his business. Cottam personnel at the office are courteous and friendly too. You can get in touch with them easily and they respond quickly. We were not customers of Cottam, but they were recommended to us as our previous company could not fix the problem even after several attempts.. Thanks you for fixing our boiler. We are customers now. Great service. Fair prices. Jose and all the techs are great! Nicholas was very friendly and helpful and got my heat working again. Jose L. is a smart, thorough and thoughtful professional. He took time to explain what he was doing and gave me advice on maintenance. Cottam is fortunate indeed to have him on their team. Omar was very friendly, courteous, and efficient. All these years it has been a pleasure doing business with Cottam. Thank you! Cottam Heating & Air Team . Customer service is always a top priority at Cottam Heating and Air Conditioning. Our BBB Membership A+ rating is like a badge of honor as we continuously strive to provide the best experience for our clients.